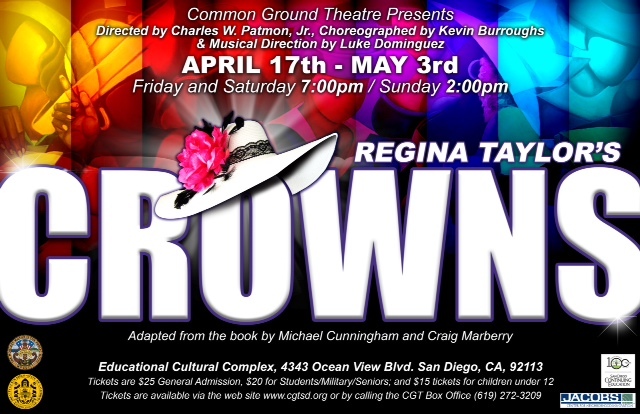 Common Ground Theatre Presents: Regina Taylor’s Crowns. Directed by Charles W. Patmon Jr. Choreographed by Kevin Burroughs. 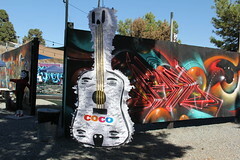 Musical Direction by Luke Dominguez. Friday and Saturday 7 p.m. / Sunday 2 p.m.
Tickets are $25 General Admission, $20 for Students/Military/Seniors, and $15 for children under 12. 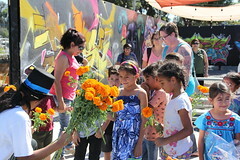 Tickets are available at www.cgtsd.org or by calling the Common Ground Theatre Box Office at (619) 272-3209.